With Sam Holmstock of Entrain. A Drum Circle is a group of people from just a few to, say, 50, sitting in a circle experiencing the spontaneous creation of music on a variety of drums and World percussion. This popular workshop with Melinda is BACK for the new year! Try Improv Your Life, a fun AND funny four hours, where you will explore the skills to communicate more effectively, think faster on your feet, and maybe (just maybe) laugh yourself silly! Paint large! Experience the fun, freedom, and spontaneity of using large brushes available at hardware stores to create landscape and seascape paintings with artist Joe Gallant! For sculptors, painters, and sketchers! This is a great opportunity to create with a model over a multi-day pose, allowing the artist to focus but work at their own pace. Science and romance collide in this unusual love story that’s delighted audiences in New York and London. Cotuit Center for the Arts offers an open mic series called Salon of Shorts on the third Wednesday of each month in the Art Studio. 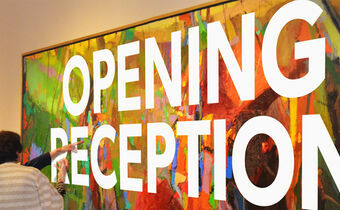 Wine and Music Wednesday is an open house held in our Gallery, with wine tasting and live music. Please note that June's Wine & Music will be held on June 12 (not on the third Weds of the month as usual). Wine and Music Wednesday is an open house held in our Gallery, with wine tasting and live music. Wine & Music Wednesday, December 2019: Holiday Singalong! 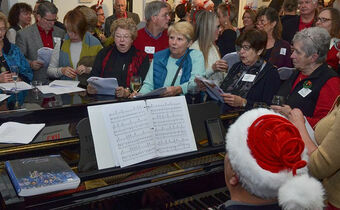 December's Wine & Music features a Holiday singalong featuring our own David Kuehn on piano! Please join us for what has become a lovely annual tradition. Snowed in overnight at a middle-America airport, ex-college lovers Elena Carson and Reed McAllister have an unexpected and life-altering reunion. This devastatingly funny one act follows a day in the life of Sam Peliczowski, an out-of-work actor who mans the red-hot reservation line at Manhattan's number-one restaurant. Brittany Loves Lucy is a homemade, one-woman spectacular. Brittany takes on every character and every line of I Love Lucy's infamous "Lucy Does a TV Commercial (Vitameatavegamin)! The cast features a rotating group of performers, some of your favorite Cape singers! Judith Partelow’s remarkable new play A WOMAN'S HEART explores the feminine spirit as it evolves through child-rearing, career, love relationships, and inevitable sufferings toward an integrated and joyful embrace of life. 2nd Wednesday Theater: a monthly play-reading of rarely-performed classics, undiscovered gems, old chestnuts, and exciting new works. On May 8, we present ﻿Survivor to Thriver, by Meridith Baier. Make two sea-inspired projects using items from nature and mason jars! 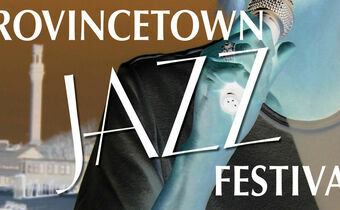 The 15th Annual, 2019 Provincetown Jazz Festival will be held on Thursday, August 15, 7:00pm at The Crown & Anchor in Provincetown and on Monday, August 19, 7:30pm at Cotuit Center for the Arts. Sign up for one of our Monthly Campus tours and get all the backstage dirt on how we create our magic! Come join us on Friday, September 13th at 10:00 am for some "Coffee at Cotuit!" Come join us on Friday, November 8th at 10:00 am for some "Coffee at Cotuit!" Drawing on works since his NYC SoHo exhibit, "On Paper," Joe Fusaro presents collage and mixed-media works that utilize gesture and original photographs to place viewers in the midst of something recognizable and simultaneously fleeting. Please join Centertonix in the CCftA Gallery on July 21 8PM for an Elegant Evening of Music. If you have some experience drawing but would like to fine-tune your skills, Sketching for Scaredy Cats III is for you! Learn tricks that the pros use to create great images! Show off your skills to all of the spring critters in your garden by using your creativity to produce an outdoor masterpiece! Come gather 'round people wherever you roam! 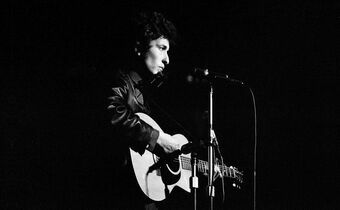 Cotuit Center for the Arts will hold its 9th annual celebration of the music of Bob Dylan. The show will feature the Dylan-interpreting talents of Art Tebbetts, Danielle Miraglia, and Matt Borrello. Celebrate the Kentucky Derby Cotuit Style! 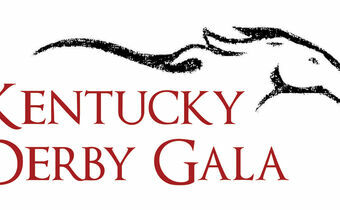 We’ll have live betting, a hat parade and contest, photo ops with horses, surprise events and of course, mint juleps! A benefit for Osterville Village Library. Details coming soon, tickets available in April. Become more proficient in Lightroom or Photoshop! Ready to improve your photography skills? WE ARE THE CHAMPIONS is an original musical celebration of Queen, featuring songs drawn from their 14 studio albums including hits “You’re My Best Friend”, “Killer Queen”, and “Bohemian Rhapsody” among many others. Set in the 1940's, with musical performances of songs from the era, MUCH ADO ABOUT NOTHING is sure to delight audiences this summer! Learn how to create realistic and beautiful portrait sculptures in clay! All skill levels welcomed in this fun class where you can discover and develop your own painting style! Stained glass artist Neil Maciejewski is back with his 101 class! Join Alice Galick for a day of experimental printmaking! CapeCodCAN presents the 7th Annual Musical Review: "A Seaside Summit at the Grand Escape Hotel." Scaredy Cats is back! Former students and newcomers welcome! Young actors aged 10-16 will explore scene study, theater games, improvisation, and stage craft in this fun and vibrant workshop culminating in a performance of individual scenes for friends and family! This is a studio-based two-week program that will introduce students to a wide range of art materials and methods of making art for enthusiastic young artists, ages 11 to 16. Students aged 8-14 will have a ball discovering The Bard, exploring his characters and stories, and rehearsing and performing a show they produce themselves! With the right camera settings, we can actually see what our eyes cannot, freezing motion in a fraction of a second or blurring motion to emphasize the passage of time. Create a different type of animal in a classroom full of music and laughter! Learn how to set up and shoot amazing still life and macro photos! Street Art is a term used to typically describe artwork done in urban environments. The title of this exhibition somewhat of a paradox. My recent body of work is realistically spray-painted street scenes on canvas, the art being the street itself. Durant’s personal work is a quest to understand the human condition. As a sculptor his main interests lie in gesture, movement, and pose. Cotuit Center for the Arts welcomes you to the Opening Reception for three exciting new exhibits. A workshop for the next generation of emerging artists! Learn the fundamentals of healthy vocal technique and stage presence. Students are invited into Ann's own studio in Dennis! Get introduced to piano in a fun & interactive group setting! Summer Theater Lab: "Into the Woods," a Broadway Intensive! If you are a teen looking for a fast-paced, focused, and fun environment, this seminar is for you! If you’re looking to get inspired, stay inspired, or just refine your skill, this is the workshop for you! Learn how to use your controls, adjustments, and abilities to help you take and make better pictures. Join fine art photographer/photography instructor Susan Simon as you uncover the essentials of photography. Summer Theater Lab is BACK with Ed O'Toole and Susan Friedman! ﻿Whether you are a mother, had a mother, or know a mother... grab a friend and join award-winning comedian Nancy Witter for this Mother's Day extravaganza. Don't miss this evening chock full of side-splitting comedy, music, mayhem, and surprises. Full of energy and surprise, wit and subtlety, Twisted Pine has quickly become one of the most acclaimed young string bands in the Northeast, and Cotuit Center for the Arts is thrilled to present them in concert in 2019! Cotuit Center for the Arts presents Piece-by-Piece IV, a large-scale collaborative installation, June 15 to July 28. The Panel Installation Celebration takes place Saturday, June 15, from 5 to 7 PM. All skill levels welcome in this supportive and non-intimidating class with long-time instructor Rosalie McCarthy. Clay Camp: Skulls and Stuff! Let your imagination run wild as you create all sorts of exciting faces and figures! Join us for our third annual UNBOUND event, a pop-up art happening sponsored by ArtWeek 2019! Meet the great artists in this fun week-long art class for kids aged 6-10! 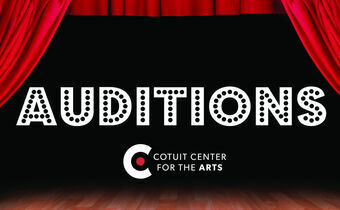 A fun week-long acting workshop for kids aged 6 to 10! Fine-tune your sketching and painting skills outdoors with artist Mary Richmond! 2nd Wednesday Theater: a monthly play-reading of rarely-performed classics, undiscovered gems, old chestnuts, and exciting new works. On June 12, we present Meteor Shower by Steve Martin. An enhanced reading of the cult classic “The Bad Seed” is set to scare CCftA audiences on October 16. Learn the secret recipe to make your audience howl with laughter! Get inspired whether you're a beginner or a seasoned professional! Learn new and exciting techniques with artist Jackie Reeves! Create exciting designs for yourself or for friends! Ear Training & Harmony for Beginners: a Kami Lyle Teach-A-While Magical Mystery Tour! Enjoy learning about music through your favorite Beatles tunes with one of the Cape's favorite musicians! Slimy Summer Saturdays with the Gooey Grant Sisters! Create, experiment, and have a blast in this exciting science-based class. Join renowned artist Jackie Reeves to learn the basics or brush up on your drawing skills. Printmaker Leslie Kramer will lead this amazing workshop for all skill levels. Immerse yourself in a daily dance practice with professional dance artists from Ali Kenner Brodsky & co.
Stephen Sondheim's hit musical storms the Cotuit stage in April! Have fun learning to draw people with artist Jackie Reeves! Please join us for Cotuit Center for the Arts' 2019 Annual Meeting. Come hear about what the Center has been doing this past year and where we are heading in the future. Georganna Lenssen returns for another exciting workshop! One of a kind offering! Calling all artists and makers! Do You Know About Our Outreach Program? Additional performance of “Jesus Christ Superstar” at Cotuit Center for the Arts due to popular demand. Congratulations to the winners of our Restaurant Raffle! Cape Cod Times review: "Breaking the Code"
Congratulations to the winner of our Summer Raffle: Italian Culinary Experience for Two! Press Release: Beginners Learn to Print at Cotuit Center for the Arts! Digital Press Kit - "Dark Tales Told on a Cold Autumn Eve"
CCftA Nominated for 42 Broadway World Awards...Vote Now! Press Release: Cotuit Center for the Arts Announces another Supercalifragilisticexpialidocious season.